Human Milk for Human Babies | It's Fiona's world...we just live in it. August is National Breastfeeding Awareness Month. Before Fiona was born I decided that unless there was a really good reason why Fiona couldn’t, that I would do everything in my power to make sure she was fed exclusively breast milk until she is at least 1 year old. I had a back up plan (I still have a stash of Holle milk to prove it), but the reality was that having read the research, recommendations, and a lot of the information available to new mothers, I really hoped that I could do this for my daughter. Maybe this doesn’t seem like an ambitious project to most people; however, Fiona is adopted. As much as I would have liked to have a nursing relationship with my daughter, and had I been able to, I most certainly would have breastfed her exclusively until she weaned herself. Unfortunately, that wasn’t in the cards for us so I had to think outside of the box. Years back I saw a picture of Salma Hayek breastfeeding an African child. I remember looking at that picture and thinking to myself what an amazing woman she was for sharing her baby’s food with one who wasn’t as fortunate. That image has always stayed with me. I had heard about the existence of milk banks but upon further research, I found them to be cost prohibitive in the long term. Not to mention that in most cases we didn’t qualify due to the fact that Fiona was neither in the NICU nor had any kind of special need. Hell, she wasn’t even born when I was making these inquiries! But like they say, when God closes a door he always opens a window because it was during this time that I first heard of community breast milk sharing. Every passing day that saying becomes more and more true for our family. Thanks to some amazingly generous mothers I’ve connected with through Human Milk 4 Human Babies and Eats on Feets, Fiona has been fed exclusively breast milk all 8 months and 1 week of her life and is well on her way to make it to the goal of 1 year I had originally set for us. Now, I’m not judging those who don’t place as much importance on breastfeeding as I have. 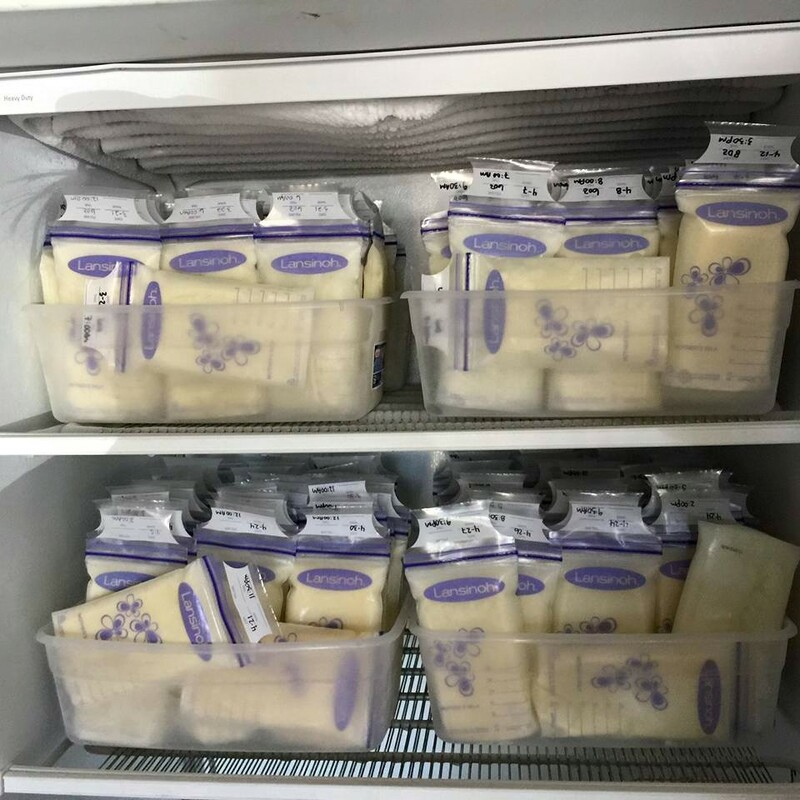 Still, i think the option of milk sharing should be included in the conversation for moms who do feel breastfeeding is important and who, like me, can’t breastfeed their children, and those who produce far more milk than their children can consume. This can make a world of difference in the life of a child.